Tricia is a Registered Social Worker and holds a Master of Social Work and Bachelor of Arts in Psychology and Developmental Studies. 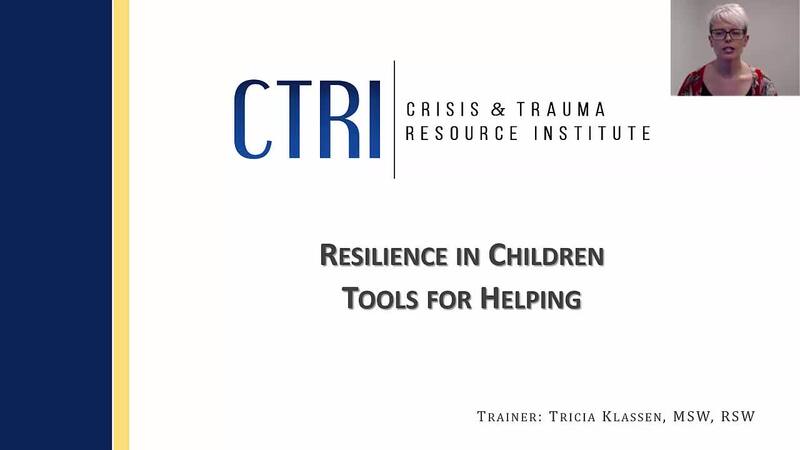 In addition to training with CTRI, she is a compassionate therapist who specializes in suicide intervention, self-injury, anxiety and depression and neurodevelopmental issues. Highlights of Tricia’s career include her role in family-centred research and training with Manitoba Family Services, several years as a social worker and therapist for St. Amant Centre, and supporting youth and families in crisis as both therapist and clinical supervisor of the Youth Crisis Stabilization System through MYS. Her therapeutic approach is client-centred and trauma informed, drawing upon individual strength and resiliency. She has a profound belief in the resiliency of the human spirit, particularly in conditions of relational attunement, connection and support. Tricia is skilled in finding a balance between being informative and building connections with her participants while delivering workshops. No matter what a child may be struggling with, when attempts at talking through a problem do not work, using alternative approaches for connecting will often prove more helpful. This webinar explores creative ways of engaging and communicating with children (ages 3-12) and their natural support systems. Viewers will learn about a variety of expressive arts (play, art, drama) and integrative body-based techniques (mindfulness, sensory, and whole-brain activities) that promote and build resilience in children.